Talking about F1: The F1 blog: Interlagos Qualifying: In the lap of the gods? Pressure. People in sport are forever talking about it. And today we had a demonstration of why. Coping with the intangible thing called pressure is part of any game; pressure it seems can do funny things to all of us. And it indeed seemed to be the case in the Interlagos qualifying session. 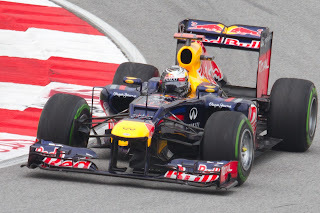 The two 2012 drivers' championship contenders, rather than leading the way and leaving all others firmly in the supporting cast, qualified but in fourth and eighth (which in the latter case became seventh), with Sebastian Vettel ahead, and both behind their respective team mates. The starring role was instead taken by McLaren and especially by Lewis Hamilton, as he led a front row lockout for the Woking squad. Indeed, the McLarens being quick and Lewis very quick has looked the way of things at Interlagos from an early stage of practice, and thus it proved in qualifying. But, at a quieter moment, the achievement may have a bittersweet taste for the team. 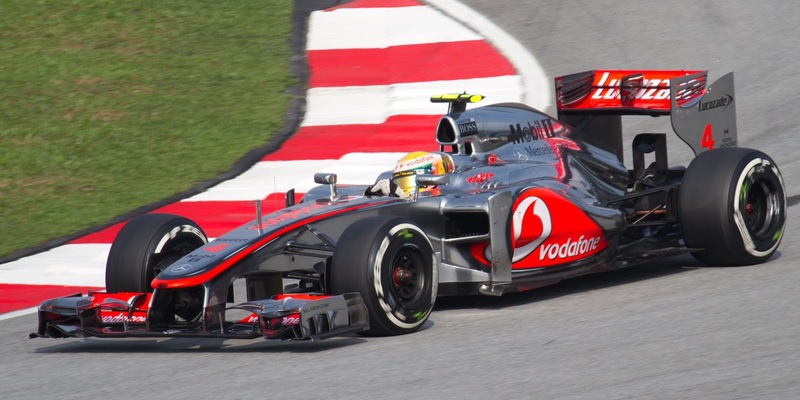 For one thing this weekend is the last time, for a while at least, that McLaren will benefit from Lewis's pace. For another, the team might wonder just how they managed to book-end the season with front row lockouts and yet finish nowhere near the top in either title fight? The Red Bulls will line up on the second row tomorrow, with Mark Webber ahead of Seb. The Bulls were pretty close usually to the McLarens in Interlagos (if often not quite with them), though Seb's final runs had an atypical scrappiness about them (particularly his first one). Invariably his qualifying laps have a super-human quality; perhaps today was a reminder that he's human after all. So, with Nando starting in seventh as mentioned, does Seb therefore retain the whip hand? Probably. But there's a feeling that Ferrari might yet have one last trick up its sleeve: the weather. Many forecasts predict rain for tomorrow's race (there was some rain before qualifying but it didn't really have an impact beyond the first session) and some suspect that, rather than getting it wrong in qualifying as such, Fernando Alonso may have set his car up with rain in mind. Alonso did seem a bit more chipper after qualifying than you'd expect from someone starting just eighth (as he thought at the time) with the championship at stake, three tenths and three places shy of his team mate. Comments from his engineer Andrea Stella similarly spoke of being well-placed for tomorrow, and his car's understeering characteristics may indicate a softer rear anti-roll bar which again would help in the wet. Alonso publicly denied it all, but to borrow from House: 'everybody lies'. Especially when trying to underplay an advantage. Does Alonso have one more trick up his sleeve? If this is true (and we don't know if it is or not) then it may on the face of it seem odd to bet ones title tilt on a weather forecast. But given Ferrari's competitive position the risk is well worth it. It's genuinely difficult to see how else they can win the race tomorrow. As an aside, Ferrari team principal Stefano Domenicali has ruled out any Austin-style gearbox shenanigans with Felipe Massa to move Alonso up a place before tomorrow's race start. This makes sense, as the Austin move a week ago reflected the peculiar circumstances of the expected difference between starting on and off the racing line at that track, and all at Ferrari including Alonso will welcome having Massa in the mix tomorrow (he is only one place behind Vettel - a fact that Vettel no doubt is not sanguine about). It didn't stop plenty (especially in the British media corps it seemed) feverishly and repeatedly bringing 'gearbox sabotage' up as a possibility though, in a fashion that frankly bordered on the hysterical. But we know by now that many struggle to pass up opportunities to decry the nasty Scuderia (and Alonso), and facts it seems don't necessarily deter them unduly. But, wet or dry, wet set up or no wet set up, for winning the title Vettel continues to have all the aces in his hand. He's no idiot in wet conditions himself, and of course he doesn't actually have to beat Alonso tomorrow. And Alonso, even if his numbers do come on on his set up choice, has plenty of cars to pass and possibly plenty of spray to impair his view. Plenty of things to go wrong, therefore. And Seb for one promises to attack tomorrow, and indeed we wouldn't expect anything else from him. It's also sensible, as Alonso could tell you from two years ago going into the last race looking backwards rather than forwards can easily become counter productive. But for all we focus on the title contenders (understandably) what about McLaren? For all of the team's disappointing season wherein it has again missed out on championship honours, the two cars are at least well placed to have a major say in where the honours do go. As things stand, they are looking like Seb's best friend as they occupy major points positions that Alonso needs for himself. But then again if Alonso gets past them and Seb doesn't then they'll be a major boon for Nando. The McLaren team also may be doing whatever the opposite is of a rain dance, given the car hasn't been the quickest in wet weather this year. On the other hand, if it doesn't rain the Woking cars may well disappear. Thus even at the conclusion of a lengthy 20-race season in a sport of incredible intricacy and refusal to leave things to chance, somehow we stand poised for the last race with what the weather decides to do likely to be the biggest player of all. And if it does rain then all bets are off. The title is in the lap of the gods in other words. And it would just be like the 2012 season of F1, and indeed just like Interlagos, for something completely unforeseen to happen. Nothing has been decided yet, and won't be until the chequered flag falls tomorrow.